The University of Houston men's basketball program has a bit of a storied history. The Cougars have produced a few hall of famers, retired five numbers, made five Final Four appearances, and was runner up twice. All of this happened when some of the current players' parents were kids. To say it's been a while would be an understatement. When a program goes that long without making consistent noise, it can be detrimental. But when you're a commuter school in the fourth largest city in the country in a state where football (at all levels) is akin to a religion, it can make you almost obsolete. What some may have once call a sleeping giant, others called it a rotting carcass. Tilman Fertitta is a proud alumni who happens to be a billionaire that's very generous with his money. He's the Tywin Lannister of the university. Whenever the university needs a financial windfall, he floats the bill. Because of this, and his acumen as a successful businessman, he also sits on the board of regents as its chairman. Over the last few years, he's made several moves to help bolster the school's profile. He was the driving force behind TDECU Stadium (football) and the Fertitta Center (basketball). When the school wanted to rid itself of head football coach Major Applewhite and hire Dana Holgersen, Fertitta was there to ensure it all went smoothly. The football program has had much more success than the basketball program has over the last 10 or so years. From Art Briles, to Kevin Sumlin to Tom Herman, it has enjoyed up and coming coaches who've used the job as a springboard to a higher profile gig. Bringing in Holgersen on a five year deal worth $20 million dollars not only solidified the football program, but also ensured its continued success. When word came down that basketball coach Kelvin Sampson may entertain offers from the University of Arkansas, panic creeped in amongst some of the Cougar faithful. They had heard this before: hot coach gets dormant program going and leaves for greener pastures. Maybe it wouldn't happen this time around because it's basketball, not football. It's easier to build and maintain an NCAA basketball program than it is in football. But that didn't matter to the fans who thought "here we go again." 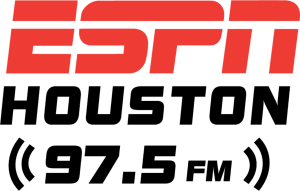 On Monday, KPRC's Randy McIlvoy tweeted out that the university offered Sampson a six year deal worth $18 million dollars and both sides are working on an extension. While I think bringing back Sampson is a good idea, I also believe the program will be fine if he takes off for greener pastures as well. Why? Number one reason is Fertitta. He won't let money be an obstacle standing in the way of the school retaining a quality coach. After all, he's very heavily invested in the school and its athletic programs. With the team and new facilities on the rise, a number of good coaches would love to take over what Sampson has rebuilt. Maybe even another veteran coach looking for a way back into the game would be more than willing to cash Fertitta's checks and keep steering this ship. What about a coach at a high profile gig in which they feel as though he's not quite living up to their lofty expectations? Or perhaps an NBA coach with a college background who's tired of dealing with millionaire prima donnas would like another crack at the college level? There's a myriad of ways this program can stay afloat. The primary reason is that it's now more attractive than what it was before because of Fertitta. Sampson helped breathe life back into it. No longer is it being described as a rotting corpse. This program is now a promising young prospect that simply needs the right coach to pull all the potential out of it and help it see what it's truly capable of. If it's Sampson, so be it. But I have faith it will be just fine with or without him.